Comments: Vigorous growing, summer flowering annual coming in a variety of colors. In their native habitat they are perennials, but since they are not cold hardy they are treated as annuals in most places. 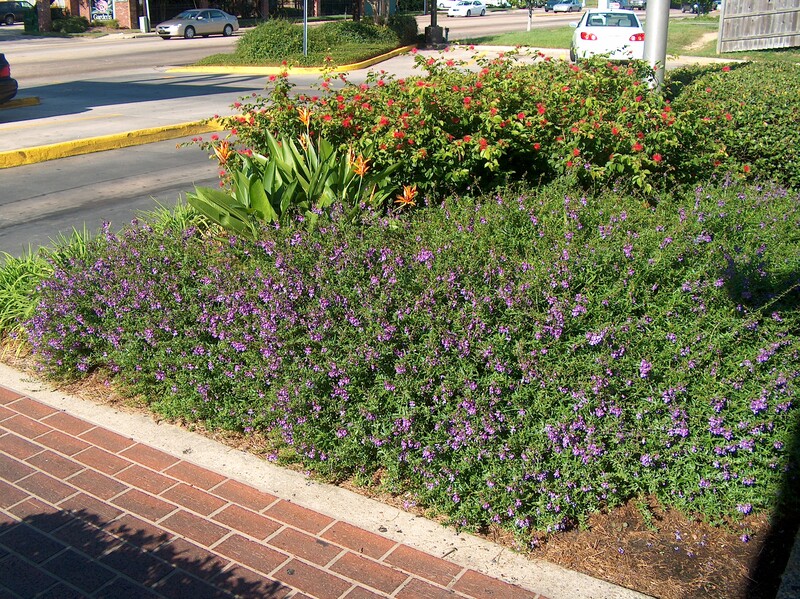 Does well in mass plantings, as seen in images above, and as single plants in containers. Provide full sunlight and a well drained soil. Clip back plants during the growing season to encourage repeat flowering.